The shipyard of Gdansk Poland is legendary both for its well known capacity to build ships and the labor struggles that would send shock waves of inspiration to the entire world. The tireless and selfless efforts of workers of the Solidarity Movement who stood up to authority and brute force, demanding justice and respect, no doubt made a better life for countless people in Poland, Europe and beyond. Yet decades later, the now privatized, downsized, and struggling shipyard feels more like a graveyard or a shrine to a lost past. The victories, on the grand scale of time, were short lived, as the world of ship building, labor, and politics, changed yet again, and Solidarity went from engine of change to historical symbol of a bygone era. Was it all for nothing? 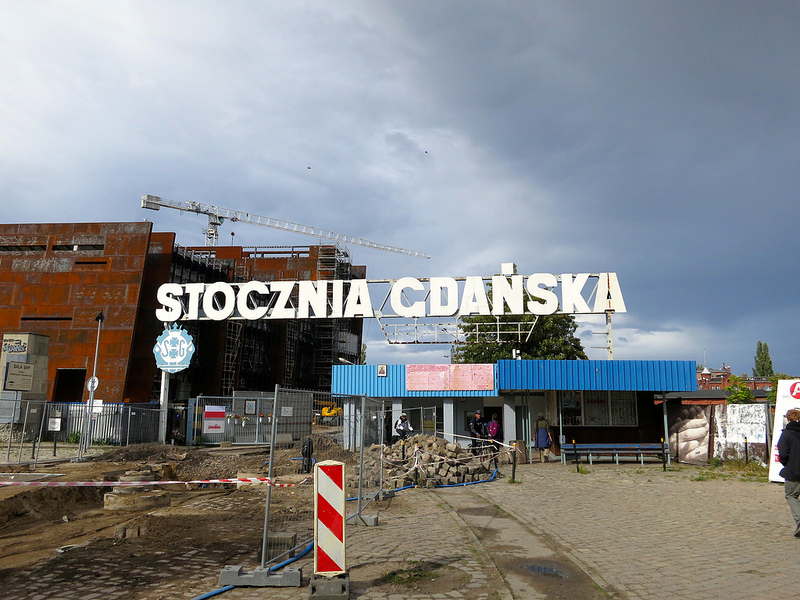 Are the dreams of those workers still alive in Gdansk or elsewhere? When the new luxury condominiums and shopping malls break ground on the same site where workers lost their lives and built their dreams, will their efforts matter anymore? Should they? Or is this just life. Special thanks to the Subjective Bus Line from which I recorded some of this audio. When in Gdansk, find their fantastic old-school red bus and take one of the last rides around the shipyard. And hurry, they are already building over much of this history. At some level I love sadness and forgotten places. Perhaps thats my Portugueseness. I really admire the shipyard workers and what they did. I wish I had lived in such a time. U should see the struggle and demonstrations of the ex-workers of “Astilleros Juliana” right here in Gijón! Desperatly trying both to get paid for their several months’ late salaries and, at the same time, trying to avoid what seems to be inevitable: selling off to the Americans for some big hotel/luxury condominium operation!… Palavras para quê, right mate?